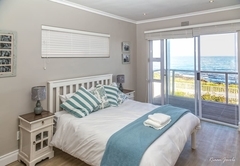 Ons C-Huis is a highly recommended property providing self catering in Gansbaai for up to 6 guests visiting the Cape Overberg region. 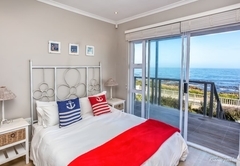 Situated overlooking Walker Bay, Ons C-Huis provides accommodation for six guests. 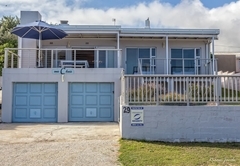 The house has a spacious, elevated deck that boasts wonderful sea views and allows for great whale watching opportunities. 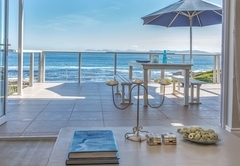 Ons C-Huis is a stylish and modern self catering house has three bedrooms; two have a double bed and one has two single beds. 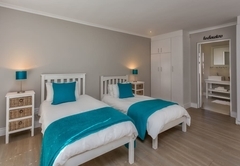 Two rooms have an en-suite bathroom and there is a separate bathroom for the third bedroom. 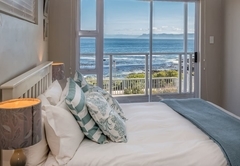 High-quality cotton linen and towels are provided. There is a spacious, beautifully decorated living area that opens onto a patio. 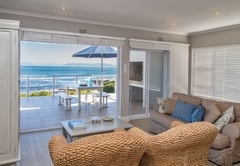 The lounge is comfortably furnished and includes a TV with full DStv and a DVD player. 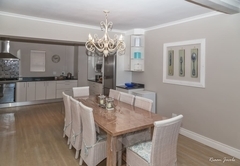 Meals can be enjoyed at the eight seater dining table. 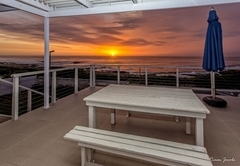 Ons C-Huis is a stylish and modern self catering house has three bedrooms; two have a double bed and one has two single beds. 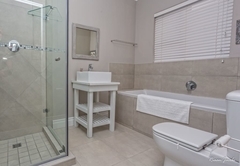 Two rooms have an en-suite bathroom and there is a separate bathroom for the third bedroom. 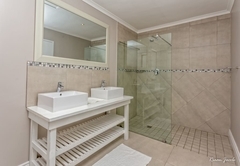 High-quality cotton linen and towels are provided. There is a spacious, beautifully decorated living area that opens onto a patio. 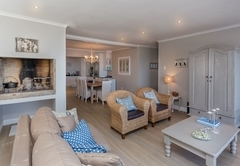 The lounge is comfortably furnished and includes a TV with full DStv and a DVD player. 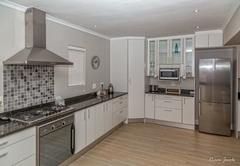 Meals can be enjoyed at the eight seater dining table.The fully equipped kitchen has high quality Defy appliances, including a gas cooking hob and electric oven. 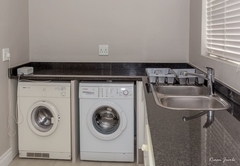 A separate scullery has a washing machine, tumble dryer and dishwasher. 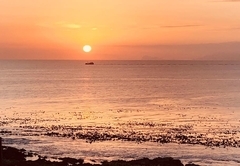 Baie dankie ons het dit baie geniet! Verlang somer alklaar see toe! 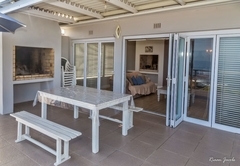 Die huis is rerig baie lekker toegerus. Hi Alida, Baie dankie ons het vreeslik lekker gekuier by julle. 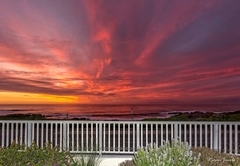 Julle huis is stunning ons gaan verseker weer kom! Response timeOns C-Huis typically responds to requests in 5-10 minutes.